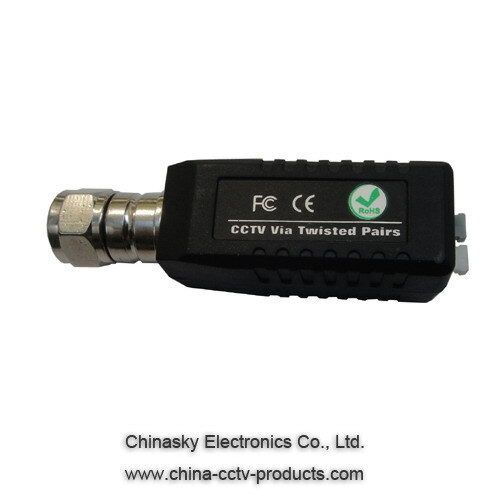 The VB102EF Video Balun is a passive transmission device that transmit video signal over unshielded twisted pair wires, point-to-point, for distances up to 1000 feet (330 m). It uses Category 5 UTP. It’s easy to install and cost effective, and does not require power. The extremely compact size allows the VB102EF to fit anywhere that a BNC can fit. It is ideal for mounting directly on virtually all high-density DVRs without any additional cabling. Its crosstalk and noise immunity ensure quality video signals.